I bought this sweater on sale from J. Crew (are they ever not having a sale?) right before Christmas and wore it Christmas Eve with these pants and the black version of these boots with a puppy on my shoulder. Apparently, Mischa missed me and/or wanted her cut of my holiday snacks. I had been looking for a white sweater that wouldn't leave little fuzzies all over everything I owned, something comfortable, not so dark and "winter in New York". It's easy to fall into that pattern of dressing exclusively in dark colors, they are after all, slimming, and absolutely anything that will pull in warmth is welcome. At this point a sweater and some kind of pants has like it or not (I don't really like it) become my everyday uniform. 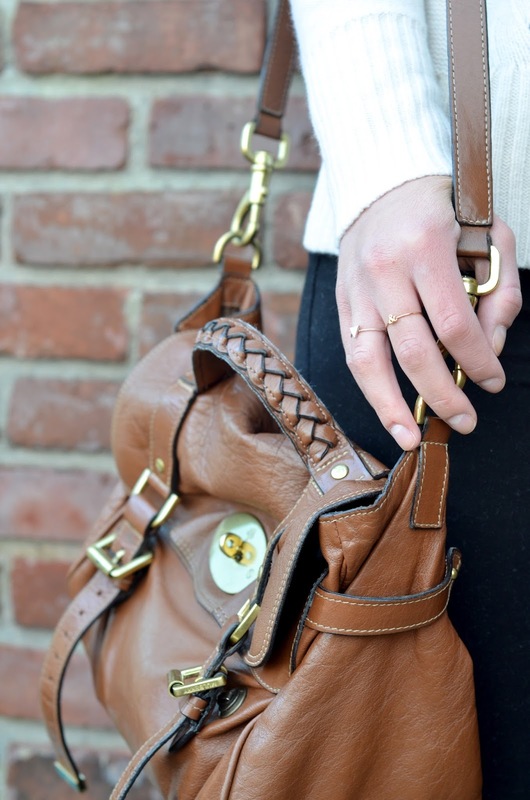 The other day I opted for a simple, back to basics version of the look with a white sweater, black pants, and tan boots with a handbag to match. I've never been one to match my handbag to my shoes and it kind of did feel a little weird. JD even pointed it out, I can't decide if that is a good or bad thing. The last time he criticized one of my outfit choices it ended up doing extremely well so I guess we'll see. I love it matching, especially with the contrast of the black pants. Your little rings are beautiful I've been wanting some like that! Love this look! The sweater is really great and it looks super comfortable. Such a classic color combo! I love it! And that sweater looks so comfy!! 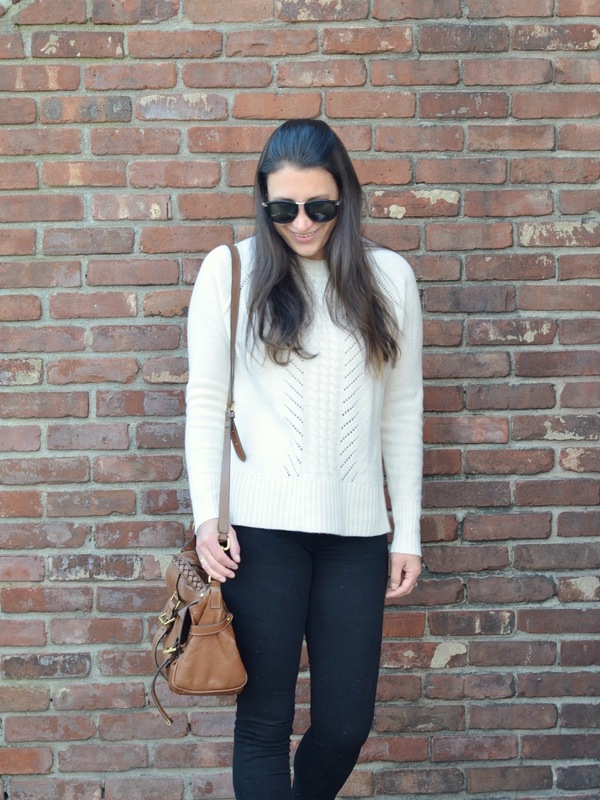 The perfect booties paired with a great cream sweater, loving this look, so effortless! Such a stylish and cozy look! Love it <3 Side note, you have some really beautiful booties in your collection. Love that sweater, it looks so comfy but warm too! 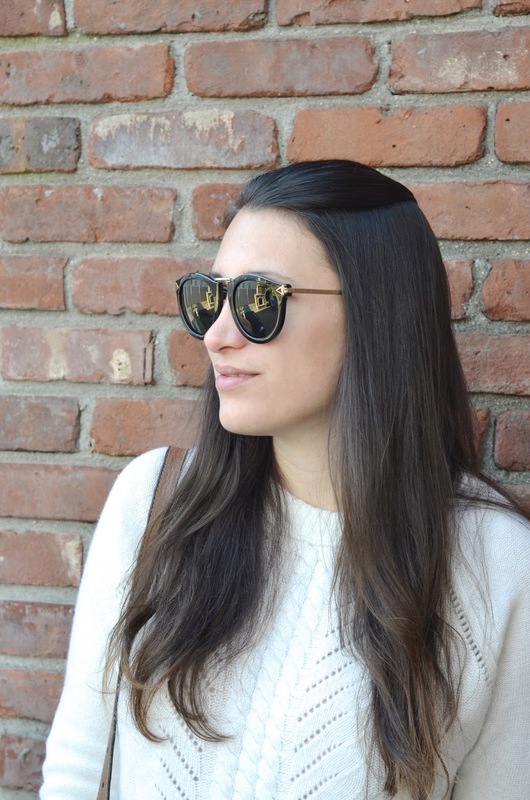 I love these sunglasses! They are SO cute. I think that matching your purse and shoes if they are this perfect tan shade is definitely a do. Plus they're adorable so extra do! 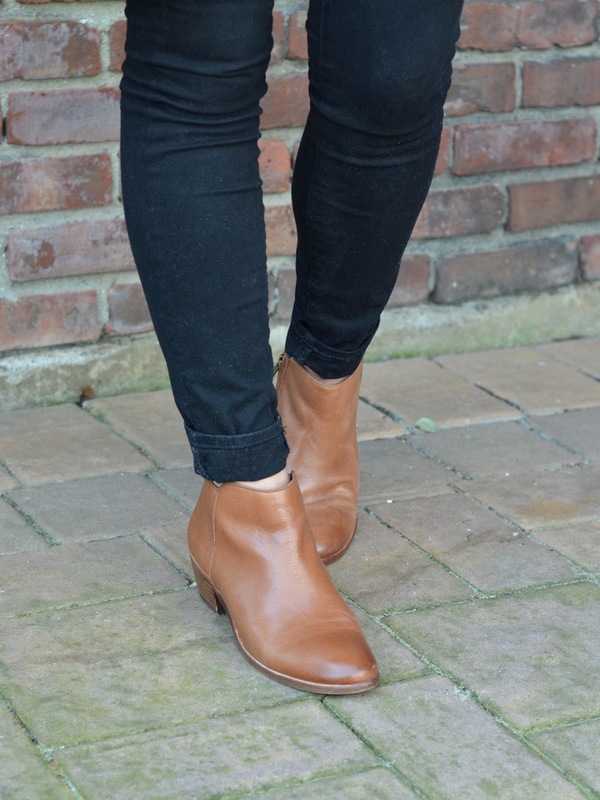 Obsessed with those booties, so cute!